The Classic World Rider and Walker encourages your baby to walk whilst having fun and learning. Classic World Rider and Walker provides your baby with a lots of fun things to do without taking up much space. From sorting shapes to playing with beads, Classic World Rider and Walker will keep your baby entertained for hours. With a sturdy and robust design with safety a main priority, the Classic World Rider and Walker helps your baby learn to walk. 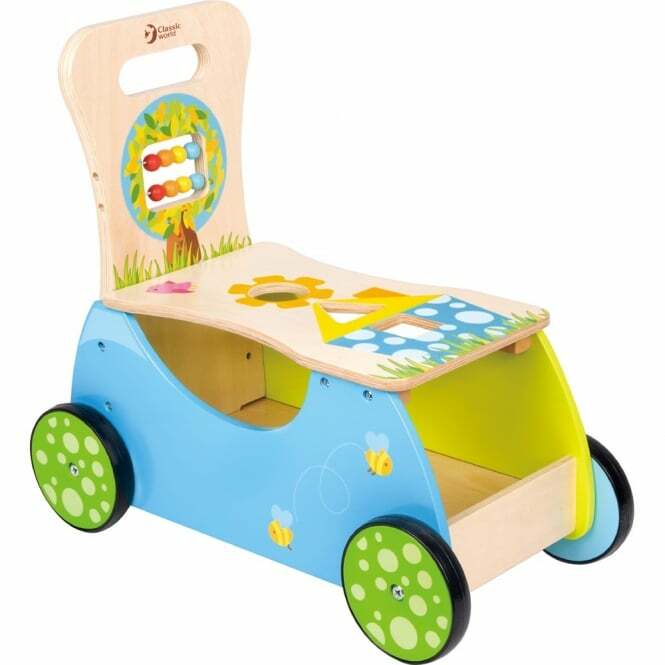 Bright and vibrant design, Classic World Rider and Walker is an educational toy for your baby. Beads and sorting shapes included making the Classic World Rider and Walker a multi - functional, educational toy that is easy to assemble.